Tokenization has become one of the most hyped-up use cases for blockchain technology in 2018. However, unlike much of the hype that has existed in the crypto market, this hype is well founded. Through the process of creating digital tokens that represent real-world assets such as stocks, collectible items, real estate, and much more, those assets become far more tradeable and more liquid. In other words, tokenization makes the exchange of traditional assets more economically efficient. In the case of Swarm — the project which this article will be focused on — tokenization is about more than just improving market efficiency. 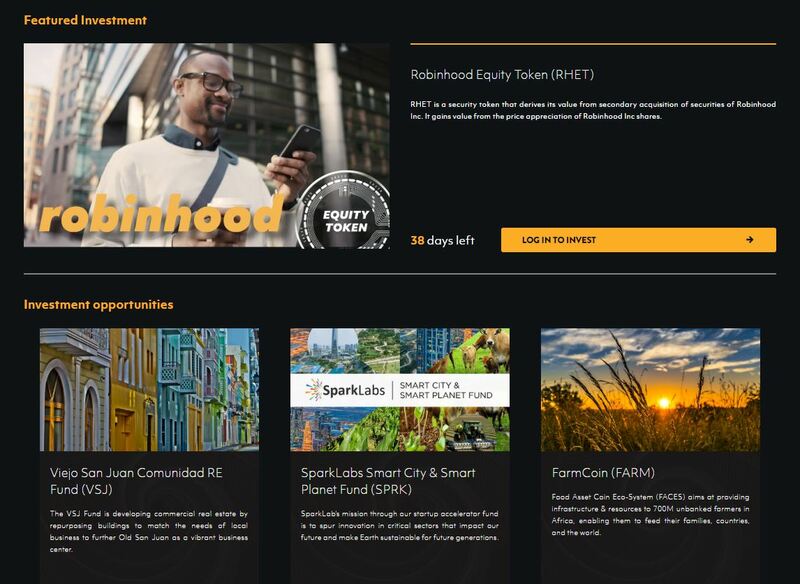 Swarm’s platform tokenizes assets from the private equity (PE) sector, enabling everyday retail investors to access the same high-yield opportunities that were previously accessible only to deep-pocketed investors with insider status. That means that you can invest in some of the same promising opportunities that have been helping the rich get richer for decades. For residents of the United States, regulations currently limit participation to only accredited investors, but Swarm has some opportunities which are open to all investors, and they are a part of lobbying work in Washington, D.C. to work with the government to revise investor rules and open the door for everyday people to invest. Swarm’s token investment process isn’t complicated by any means. By the time you finish this article, you’ll know exactly how to explore the investment opportunities that are available at any given time on the Swarm platform. You’ll also learn what to do once you find an opportunity you like enough to pull the trigger on and put some money in, getting your career as a private equity investor off the ground. Sound exciting? Let’s get to it! Before you so much as register on Swarm, you’ll have the ability to review all of the various investment opportunities that are available at the current moment. To do so, simply visit the Swarm Fund Explore Page. 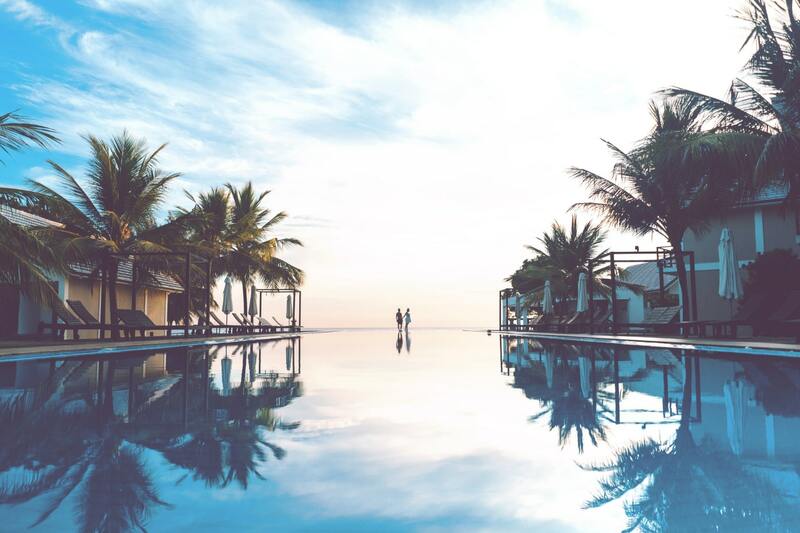 Each investment opportunity will include a brief description of the asset being offered as well as information about how much longer the opportunity will be available. The real assets that have been tokenized thus far include commercial real estate, a startup accelerator fund, an infrastructure solution for unbanked farmers in Africa, as well as fractional ownership of a Dash Masternode that pays out block rewards as dividends proportional to your investment. Most exciting of all — at least for many cryptocurrency enthusiasts — is the tokenization of Robinhood. Robinhood is a zero-fee investment and trading platform that allows people to easily trade stocks and, as of this year, even some select cryptocurrencies through Robinhood Crypto. Robinhood has received nearly $200 million in venture capital on its way to a valuation around $5 billion. What’s truly noteworthy about the Robinhood Equity Token (RHET) on Swarm is the fact that Robinhood is currently still a private company, meaning that they’ve yet to hold an IPO. Prior to the existence of Swarm, everyday investors would have no choice but to wait for an IPO or even later in order to invest in Robinhood. Unfortunately, that would result in a lot of people potentially missing out on some profit in the process. Now, with tokenization, everyday investors can gain access to “private” investment opportunities. That’s a really big deal! After you’ve explored the different investment opportunities, hopefully there are one or two that caught your eye. The first thing that you should do in that case is research those assets further if you don’t already know them well. Do you think venture capitalists and other private equity investors got to where they are purely by luck? Of course not! Chances are, they know every investment they’ve ever made inside and out. If you’re new to investing or unsure about how to properly analyze an investment opportunity, you can learn a lot by reading our article on mitigating risk in the cryptocurrency market. Much of the information provided there can be applied to traditional investments just as well as cryptocurrencies, and it can save you from learning some lessons the hard way. You’ll need an account with Swarm in order to purchase a tokenized security through the Swarm platform. If you don’t have one already, visit the Log In page and click the “Sign Up” button on the bottom right to create your account. After submitting your email and password, you’ll be directed to the seed recovery page. Your account will soon function as a wallet with digital currency stored within it, so it’s dangerous to use traditional account recovery options such as resetting your password via email. Seeds offer a more secure alternative for recovering your account in the event that you forget your login credentials. You should save your seed somewhere safe and inconspicuous. This can be a locked file on your computer or a locked note on your phone. The safest option, however, is writing the seed down in one or two places where you’re confident you won’t lose it. Your phone and computer can be hacked, a piece of paper cannot. Just don’t lose the paper! Once you validate the seed by copying and pasting it into the line at the bottom, you’ll receive a verification email. Simply open it and click the “Confirm email” button. Now that you’re registered, you’ll need to add some personal information to your account. Collecting this information is what allows Swarm to be compliant with securities regulations and enables you to own, transfer and trade securities. You’ve probably heard of these in the form of Know Your Customer (KYC) and Anti-Money Laundering (AML). Securities regulations laws are an unfortunate reality of modern-day investing, though they are intended to protect investors from unscrupulous actors such as scammy ICOs. 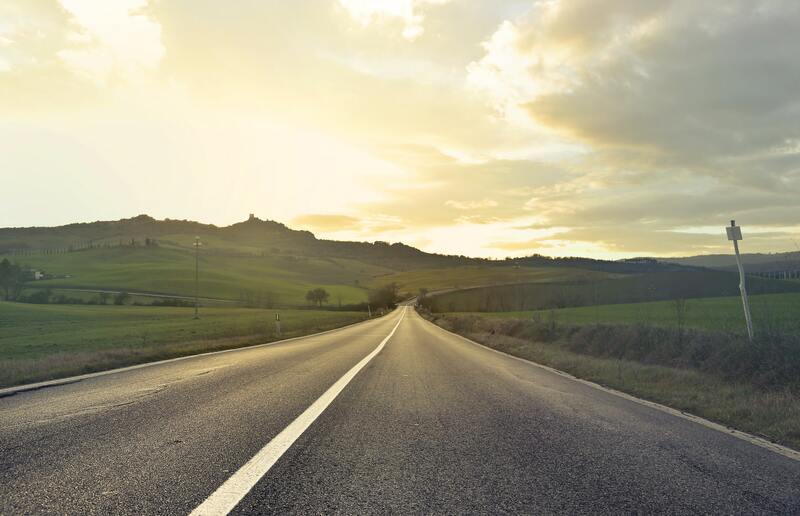 While some may find these burdensome, compliance with regulations ensures access to a whole new range of investment opportunities never possible before. They can restrict anonymous investing and can put consumers at risk of having their sensitive personal information stolen in the event of hacks. However, there is a concerted effort on the part of many in the blockchain industry (including Swarm) to ensure that all sensitive personal data is handled with extreme care. In the meantime, this is just something that investors have to deal with until the law changes. At least with blockchain projects such as Swarm and SelfKey, your digital ID is a lot safer than if it were being stored on centralized servers. To complete your account setup, you’ll first be asked to indicate whether you are an individual or a syndicate. Unless you are representing a group of people or planning to list a security token on Swarm, you’ll probably choose the individual option. You’ll then be asked to verify and prove your identity through traditional KYC/AML procedure. This is a bit inconvenient but it keeps things safe and legal, should take less than 10 minutes, after which time you’ll be one of the earliest tokenized securities investors in the world! 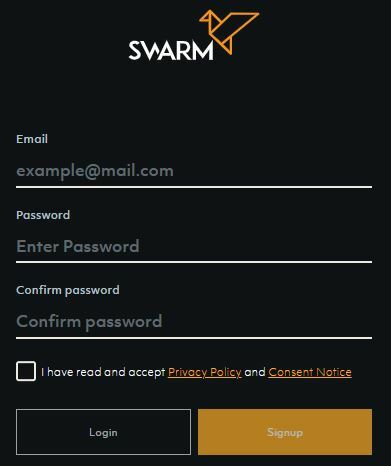 Once you fill out and submit the information, the team at Swarm performs an initial set of verifications (such as selfie matching, address verification, and legibility of your submitted documents), after which time your application is forwarded to Swarm’s KYC partners for further verification (such as comparison with sanctions lists, checking for a history of fraudulent activities, and so on). This can sometimes take a few days, though Swarm makes every effort to approve applications within 24 hours. For investors resident in the US, most opportunities on the Swarm platform require you to verify your status as an Accredited Investor. This requirement has been set by the SEC and is intended to allow only sophisticated investors (essentially those with a high net worth) to invest. US investors will be guided through this process by the Swarm platform. Regardless of your country of residence, as soon as your application has been approved, you will be eligible to start investing, and your information will be deleted from external servers so that you aren’t vulnerable in the event of a security breach. Before we go any further, I strongly encourage you to set up up 2-Factor Authentication (2FA) to secure your account. This means that logging in will require two steps instead of one, which makes your account significantly more difficult to hack. You can do this by clicking the Account drop-down menu in the top right corner, then clicking Account settings. You’ll often have the option to use a phone number or a third-party app such as Google Authenticator as your second verification step. Note that your phone number can be hacked without much difficulty, so this doesn’t really make your account much safer! You should always use an app as opposed to a phone number for 2FA. Fortunately, Swarm takes user security seriously and only allows for 2FA via an app. You’re done with the tedious part, it’s finally time to invest! 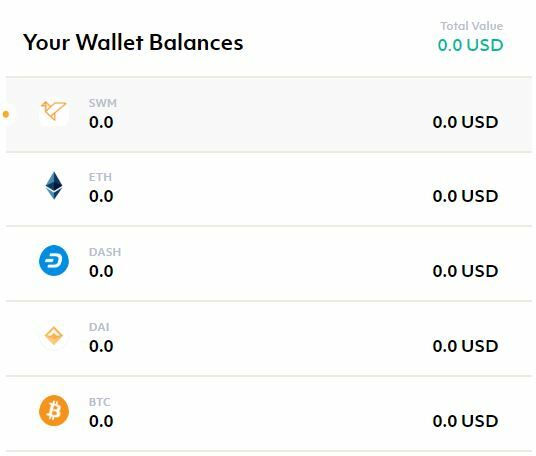 The first thing you’ll need to do in order to buy your first tokenized security is add some funds to your Swarm wallet. Dai is a stablecoin pegged to the US Dollar (1 DAI = 1 USD), so depositing Dai into your account is the option that’s most similar to depositing a fiat currency that’s less volatile. In the future, it will be possible to invest directly with fiat. USD and EUR are the top priorities for additions in the near future, but more fiat and cryptocurrencies could be added after those two. Any of these cryptocurrencies can be used to invest in the tokenized assets on Swarm. However, holding the SWM token does come with some added benefits. You can read about them in our comprehensive guide to Swarm. Each investment opportunity has an overview explaining the asset in question as well as a token sale agreement. You should read this information carefully. Then, finally, it’s time to make your purchase! Just decide the amount you want to invest, pick your currency, click to confirm, and you’re all set. Congratulations on your first security token investment! Swarm is still in its infancy, so there isn’t yet an overwhelming array of options for investment. That will likely change in the not-too-distant future as awareness and interest in Swarm grows along with the blockchain industry as a whole. To prepare for that future, Swarm is working on a solution to utilize artificial intelligence that advises individuals on which investment opportunities are best suited to their specific risk/return profile. We’ll be looking out for updates on progress with AI and we’ll be sure to pass along whatever information we learn. One of the best features of the Swarm platform is how informative it is on every aspect of tokenization, regulatory compliance, and how to use the platform itself. If you’re completely new to investing, Swarm is a fantastic place to get started and learn the ropes. If you have any questions about Swarm or how to use it, you’ll probably find some relevant information in the FAQ as well. All in all, the Swarm platform is still a long way away from reaching its potential. That being said, much of the key blockchain infrastructure for tokenization is already in place, so at this point it’s mostly a matter of growing the investor community and tokenizing as many high-potential investments as possible. Swarm is making the world of finance and investment more transparent, efficient, and accessible to the masses. To be a part of the transformation, you can follow the project on Twitter and join the growing Swarm community on Telegram.